The work of the Criminal Cases Review Commission (CCRC) is currently being examined by the Parliamentary Justice Committee, writes Louise Shorter. Key themes for scrutiny are whether the Commission has sufficient powers and resources to investigate cases and promote confidence in the criminal justice system and whether the â€œreal possibilityâ€ test (set out in the Criminal Appeal Act 1995), to which the CCRC works, is fit for purpose. The â€œreal possibilityâ€ test is the bar an application must pass for the Commission to refer a case to the Court of Appeal; there must be a â€œreal possibilityâ€ the Court of Appeal will quash the conviction. To answer this question the CCRC will often examine past decisions made by the Court of Appeal. Many giving evidence to the Justice Select Committee have expressed dismay at the Appeal Courtâ€™s increasing reluctance to overturn cases and, in turn, the CCRCâ€™s reluctance to send back cases which the Court of Appeal will not quash. The relationship between these two bodies is seen as the heart of the current difficulties. The Committee heard evidence also from Lord Runciman, who chaired the Committee which led to the establishment of the CCRC alongside Professor Michael Zander who was also a part of that Committee in 1995. In our view this new proposal would, in some of the most difficult cases, release the CCRC from the straightjacket of the â€œreal possibilityâ€ test which has, unwittingly perhaps, produced an ever-growing mass of wrongful convictions persistently and publicly failed by the judiciary. It is a failure which ebbs away at public confidence in our criminal justice system. Next Tuesday (February 3) the House of Commons Justice Select Committee holds the last public session in its inquiry into the Criminal Cases Review Commission (CCRC) when the Commission itself will be giving oral evidence. (All evidence is accessible on the Committeeâ€™s Parliamentary website). In a Supplementary Note of Evidence submitted this week, I withdrew that suggestion and replaced it with what I think is a more promising proposal. There is no dispute regarding the constitutional importance of the juryâ€™s decision as to whether the defendant is guilty or not guilty. That is central and fundamental. The question is only whether anything can be done if in a particular case it seems that the jury got it wrong. That depends first on whether the juryâ€™s verdict is guilty or not guilty. The system tolerates jury acquittals against the weight of the evidence or contrary to law. There is no appeal against a jury acquittal. However, if the jury makes the wrong decision by finding the defendant guilty, the Court of Appeal is potentially there to rescue the situation. It was for that, in light of the Adolf Beck miscarriage of justice case, that in 1907 parliament created the Court of Criminal Appeal. The trouble is that the Court basically refused to play its assigned role. Among the reasons given, the most prominent or focal one, is the constitutional centrality of the juryâ€™s decision. This is not, and has never been, a persuasive reason. Yes, no one should be convicted of a serious offence save by a verdict of the jury. But if there are solid grounds for the view that the verdict is against the weight of the evidence, there has to be a way to deal with the situation. In declining - for over a hundred years â€“ to play the role assigned to it by statute, the Court of Appeal has been in serious dereliction of its principal and indeed, constitutional responsibility. I believe that the real reason for the Courtâ€™s restrictive approach is the understandable fear that if it showed itself willing to second guess the juryâ€™s verdict, it would be deluged with too many appeals requiring reassessment of the evidence. The CCRC is an efficient, competent, responsible body. If, after investigation, the Commission believes that there is serious doubt as to whether a conviction is safe, the Court of Appeal should be required by statute to consider whether it agrees â€“ and if so, to quash the conviction. This would not require the court to consider whether the appellant was innocent â€“ only whether there was sufficient doubt about the conviction to make it â€œunsafeâ€. A jury verdict about which both the CCRC and the Court of Appeal have serious doubt should not be allowed to stand. It is unacceptable in such a case that the system should say, "The jury has reached its decision after hearing the evidence and seeing the witnesses and that is the end of the matter". This would not undermine or usurp the juryâ€™s role. The existence of an appeal court does not undermine or usurp the trial court. An appeal is there to review the result of the trial process. The juryâ€™s role is to decide whether the prosecution has proved its case beyond a reasonable doubt. The Court of Appealâ€™s task is to decide whether the juryâ€™s verdict is safe or unsafe. They are different questions, involving different tests, answered by different bodies with different capacities and different responsibilities. The Court of Appeal â€“ now aided by the CCRC â€“ is the fail/safe element in the system. For the fail/safe system, as it were, to fold its hands and look the other way is dereliction of duty. The proposed new statutory provision would put the CCRC into a very different relationship with the Court of Appeal. The Commission would be raised to a kind of partnership with the Court of Appeal. 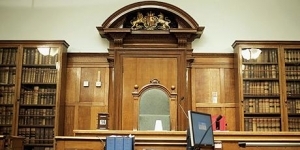 Instead of having to consider, as now under s.13(1) of the 1995 Criminal Appeal Act 1995, whether there is a "real possibility" that the Court of Appeal will act, it would only have to consider whether, after investigation, it had a serious doubt about the juryâ€™s decision on the evidence. The Court of Appeal would then be required to give that question full substantive consideration. I believe that would give momentum to a transformation of the constitutional relationship between the Court and the Commission which could be a long-desired paradigm shift. Establishment of what became the CCRC was recommended by the Runciman Royal Commission on Criminal Justice. The Royal Commissionâ€™s main reason for recommending the establishment of the new body was that it would be an infinitely better vehicle for investigating cases than C3 Department in the Home Office. That has unquestionably proved to be the case. But at present the full benefit of the CCRCâ€™s investigatory work can be thwarted by the combination of the â€œreal possibilityâ€ test and the Court of Appealâ€™s historic aversion to reconsidering a juryâ€™s verdict. The proposed new statutory provision would build on and give full value to the CCRCâ€™s capacity to investigate and evaluate cases. The new test would obviously have to apply not only to cases where there is no new evidence but also to cases where there is new evidence. Would it result in an avalanche of cases being referred to the Court of Appeal? It is likely that the new approach would initially result in referrals of a number of cases (maybe two dozen) that were seriously considered for referral by the CCRC but which were not referred because of the Court of Appealâ€™s restrictive attitude both to jury decisions and to fresh evidence. Because of the extensive work always undertaken by the Commission before a referral is made, that would however happen gradually, a few per year. Once the backlog had been dealt with, one can be confident that the flow of cases referred by the CCRC as a result of the new approach would reduce to a small and manageable number, probably as low as one or two cases per year. The CCRC has shown itself to be a very cautious body. Section 13(2) of the 1995 Act gives it the power to refer a case to the Court of Appeal â€œin exceptional circumstancesâ€ even though there is nothing new. In the twenty years of the CCRCâ€™s existence this power has never once been used. The Commission, equally has never used its power under s.16(2) to refer a conviction case to the Home Secretary for exercise of the royal prerogative of pardon. Its non-use of ss.13(2) and 16(2) suggests that the worry should be of under rather than of over-use. But the proposed new power should embolden the Commission to refer troubling verdicts. If the Court of Appeal rejects the appeal and the Commission feels strongly about the case, the new power should embolden the Commission to refer the case back and if that fails, and the Commission still feels strongly, to ask the Home Secretary to grant a pardon. I was a member of the Runciman Royal Commission. I regard that as one of the most important of our 352 recommendations. The proposal is simple: the CCRC should be given the power to refer a case to the CA where it considers that the conviction is against the weight of the evidence heard by the jury, but taking into account also any fresh evidence that has since emerged. The Court has been extremely resistant to reconsidering the evidence. Legislation strengthening the position of the CCRC as the filter for the Court of Appeal in these especially difficult cases could be a game-changer.